Home remedies #1: A high-potency multivitamin and multimineral daily. Beta-carotene. Take 25,000 international units daily. Vitamin-B complex. Take a supplement containing 100 milligrams of most of the major B vitamins. Also take an additional 50 milligrams of biotin daily. Vitamin C. Take 1,000 milligrams twice a day. Vitamin E. Take 400 international units daily, with 100 micrograms of selenium to aid its absorption. Iron. Take 50 milligrams daily. Zinc. Take 50 milligrams daily, with food and with 2 milligrams of copper. Silica. Take 250 milligrams twice a day. Free-form amino acid complex. Take 2 grams (2,000 milligrams) three times a day, before or after meals. In addition to correcting any vitamin deficiencies, women whose hair loss is due to physical trauma, crash diets, or heavy menstrual periods can benefit from supplementation with a high-potency multivitamin and 50 milligrams of iron, together with 1,000 milligrams of vitamin C to boost iron absorption. Thinning hair can be a sign of poor nutrient absorption, which in turn can be due to an insufficient supply of stomach acid or bacterial overgrowth in the stomach. Taking one tablet of hydrochloric acid (HC1) and one digestive enzyme capsule after starting each meal, plus 1/2 teaspoon of powdered acidophilus dissolved in 2 ounces of water twice a day between meals, can aid in nutrient absorption. • Inositol with choline has been found to stimulate hair regrowth in some people with nonscarring alopecia. Take 200 milligrams twice a day. Saw palmetto is the first choice of many herbalists for male pattern bald ness. Saw palmetto blocks the formation of dihydrotestosterone, a hormone thought to kill off hair follicles and lead to androgenic alopecia. Take 160 milligrams twice a day. DS Some people have had success using aloe. It is suggested that you apply the gel to the scalp every night before bed, and also take 2 tablespoons of aloe juice orally each day. Arnica can be applied to the scalp twice a day in the form of a cream, ointment, or hair rinse made from arnica tincture diluted with warm water. Arnica increases local blood circulation, and may thereby help promote hair growth. Jojoba oil may help with hair loss when applied to the scalp. Emu oil, or kalaya oil, is recommended as a moisturizer and hair-root stimulant to promote hair growth. Licorice also contains a chemical that prevents testosterone from being changed to dihydrotestosterone. You can add licorice tincture or extract to your favorite shampoo. Rosemary has long been believed to keep hair healthy and lush. Add one part rosemary oil to two parts almond oil and massage the mixture into your scalp for twenty minutes a day. Sage has been believed for centuries to help prevent hair loss. Like licorice, sage extract can be added to your favorite shampoo. Or you can use double-strength sage tea daily as a hair rinse to encourage hair growth. Safflower is considered to be a good vasodilator. Massage your scalp with safflower oil for twenty minutes a day to increase local blood flow and stimulate hair growth.Jojoba oil may help with hair loss when applied to the scalp. Essential oils may be the rescue you’re looking for. Using them as part of your hair care routine can breathe new life and luster into your hair. Essential oils also infuse your hair with a burst of fragrance. For centuries, people have used essential oils for a variety of medicinal and cosmetic purposes. The beauty industry eventually caught on, marketing luxurious aromatherapy shampoos, serums, and other hair care products -- with equally luxurious prices. Today, you don't have to spend a fortune for essential oils. Many health food stores sell inexpensive versions. Here are some essential oils that experts recommend for dry hair. Almond oil soothes and moisturizes the scalp. You only need a few drops of an essential oil -- mix one or more types in a shampoo or conditioner. Or mix the drops into 2 ounces of a "carrier" oil, such as olive or jojoba. Experts suggest these combos. After you apply the oil mixture, cover your head in a towel or shower cap. You can either wash out the treatment after 30 minutes or leave it on overnight and shampoo in the morning. Remember to wash out oils completely. When you leave them in too long, they weigh down hair, leaving it limp and oily. 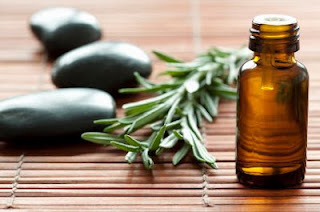 If you apply some essential oils directly to your scalp, they may cause irritation. Diluting them is the answer. Read label instructions for how to dilute oils, and never use them in higher-than-recommended amounts. If you're allergic to plants such as ragweed, test the oil on a small area of your skin or hair to see if you have a reaction. A lysine deficiency may cause hair loss. The hair across your scalp may appear sparse or your hair may break easily while you are washing or brushing it. Excessive hair loss may be embarrassing to certain people; however, normal hair growth typically returns once your lysine levels return to normal.